Sometimes, the start of something great is triggered by one moment or a series of actions. In 1984, Australia were going through a rut and it led to the then skipper Kim Hughes resigning in a tearful manner. Allan Border took over and thus began a new era for cricket in the country. He brought a young side to India in 1986 and they punched above their weights. The likes of Dean Jones, Steve Waugh, David Boon and Border himself started to put in invaluable contributions and Australia had a superb next few years, where they won the World Cup, retained the Ashes in England and beat India 4-0 at home. Fast-forward 30 years later, to 2014. India have just returned home from a mixed tour of England, having lost the Test series 3-1, but won the ODIs by the same margin. They are scheduled to play a five-match ODI series against the West Indies and begin poorly, losing the opening ODI in Kochi. They fight their way back in Delhi in the second ODI and win it to make it 1-1. And then there is a bombshell that falls right in the middle of the third ODI with the visitors pulling out of the remainder of the tour over a major payment dispute. There was uproar everywhere and the BCCI, in order to ensure the home season is not disrupted, organise a five-match ODI series against Sri Lanka at home. Amidst all that was going in the whole West Indies series, MS Dhoni had injured himself during the course and so, Virat Kohli was handed the responsibility of leading the team in his absence. In whatever little the world had seen of Kohli the captain, it was evident he was different to Dhoni. He was more aggressive, showed a lot more intent and did not back away too much from expressing himself in the middle. Those virtues were all visible in the five-match series as India trounced Sri Lanka 5-0, showing a rarely before seen ruthless approach which was very refreshing from Indian cricket’s perspective. The team headed to Australia for a four- match Test series, followed by a Tri-series and eventually the World Cup. It was to be a massive season of cricket and one that would provide a glimpse into Indian cricket’s future. Before the opening Test began in Adelaide, Dhoni was ruled out as he could not recover in time and so it meant that the world would now get to see Kohli the Test captain. Will he show the same exuberance? The same flamboyance, which he had already made him popular in the Indian cricketing circles? After four really intense days of Test cricket, which had seen multiple centuries, a verbal spat and more, India were set a daunting 364 to chase on the final day. Generally, teams have just one approach in mind, when such a score is staring in their face. Kohli and his men had that option and could well have taken it and ensured things were all neutral at Brisbane. Instead, they decided to go the other way, -the winning way- a route not often ventured in the past by Indian teams and one which would have its fair share of risks. This generation is different. They are brought up watching different programmes, they are taught different things, they have the freedom to express and above all, they are willing to dare. Kohli walked out to join Vijay at 57 for 2 and did everything that would have gotten him out, on any other day, but today. Mitchell Johnson dug it short, he pulled it for four. Nathan Lyon tried to hit the rough and looked to curve the ball into Kohli’s pads, he swept it for four, again and again and again. It was like having the sharpest of sword in your hand and coming up with the most outrageous of movements and succeeding with it. The Australians could not believe what they were saying and neither could any of us. This was as close to Tendulkar from the 90’s as it could get. Taming the Australians, making their nerves jingle and forcing them to look elsewhere for options. The ton was reached and there was an anticipation of the kind not seen within an Indian spectator for a long, long time. India, thanks to their captain were staring at achieving something monumental. Their rainbow at the end of the sun was looking upon them, but did they have it in them to walk that extra mile and get a glimpse of it? With history in his sight, Kohli continued to dare, even as the rest tried to match him. Shot after shot, four after four, the deficit reduces. But then, the age long disease struck. India lose Vijay, then Rahane soon and Rohit Sharma as well. From a winning position, they are now in a state of doubt. Should we go for it? The fans certainly didn’t think so. It did not matter to Kohli, he was after this number 364 like a man possessed. The Aussies knew he was the only one standing between victory and defeat. 20 minutes left in the day. India needed 60 runs in just over 17 overs, Meat and Drink with Kohli playing the way he was. Until the pull of death came. Lyon dug it short, Kohli went for it and Mitchell Marsh, patrolling the mid-wicket fence, did everything to ensure the fading sun’s glare did not come in the way and took the defining catch of the match. Kohli was.......if you had to put a parallel, like a student, who had done everything that he could the whole year to score 100 marks in an exam and failed to get there by a solitary mark. The right-hander had done everything to keep the Indian flame burning until there was no more oil to keep it light. When he fell for an outstanding 141, India went southwards along with him and fell short by 48 runs. Watching all this from the dressing room, Dhoni knew he had seen the next leader. A leader, who was gutsy, a leader who was daring and more importantly, a leader who wanted to win. Two tests later, he gave that leader what he truly deserved: An opportunity. 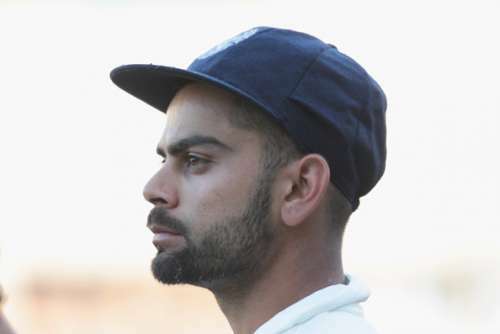 Indian Cricket Team: Will Virat Kohli find a settled side?